Tree City USA, sponsored by The National Arbor Day Foundation in cooperation with the USDA Forest Service and the National Association of State Foresters, provides direction, technical assistance, public attention, and national recognition for urban and community forestry programs in thousands of towns and cities that more than 93 million Americans call home. 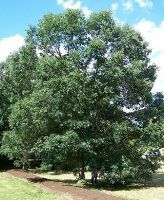 To qualify for Tree City USA, a town or city must meet four standards established by the National Arbor Day Foundation and the National Association of State Foresters. The four standards are: each City must have a tree board or department; must have a tree care ordinance; must have a community forestry program with an annual budget of at least $2 per capita and an Arbor Day observance and proclamation. Fort Madison has been recognized as a Tree City USA for the past eighteen (18) years.